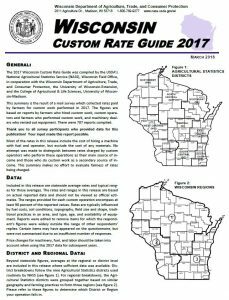 A new version of the Wisconsin Custom Rate Guide was released in March 2018. Statewide, regional, and district data are included. 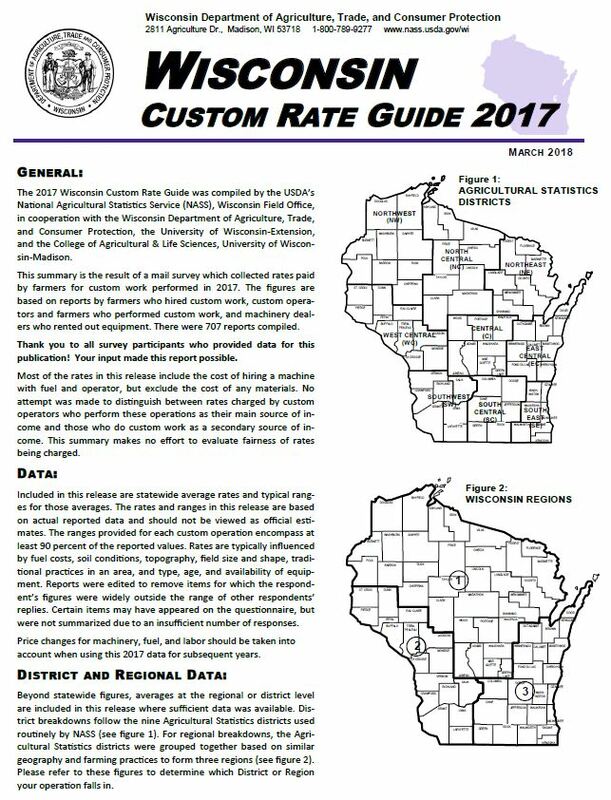 The Rate Guide is compiled by the USDA’s National Agriculture Statistics Service (NASS) in cooperation with Wisconsin DATCP, UW-Extension, and the College of Agriculture & Life Sciences, UW-Madison.